Here’s the short answer: Press and hold the Top or Side (Power) button and click the Home button then release both. Or, if you have the 2018 iPad Pro, press the Top button and click the Volume Up button at the same time, then release both. For a more detailed explanation, keep reading. The iPad is a mean, sleek, sharing machine. It can share photos, links, and websites in seconds. It can also make easy work of a screenshot. The ability to take screenshots may not be the most glamorous feature on the iPad, but it’s certainly one of the most useful, allowing you to capture enlarged PNG images of your display you can then share with anyone. Why do you need screenshots? For starters, they’re handy when you need to share something from your screen with coworkers, family members, or the Genius Bar from afar. They also allow you to create fantastic guides and flaunt your high score in Super Mario Run and other great iPhone games. After all, photo evidence goes a long way. Whatever the reason, all iterations of the iPad can capture and share screenshots in five simple steps, whether you’re using the iPad Pro or the last-gen Mini. Here’s how. Step 1: Locate the Home and Top (Power) buttons. 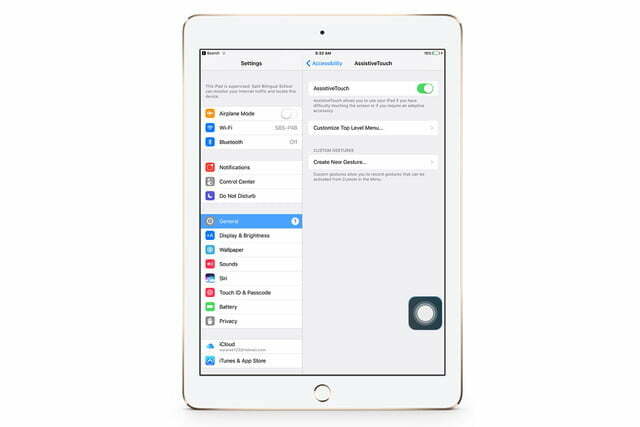 The Home button is located directly below your iPad’s display, and is the only button on the front-side of the iPad. 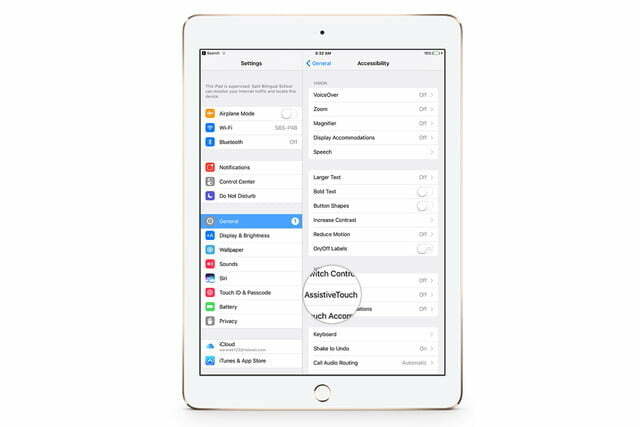 The Top button, on the other hand, is the oval-shaped button atop the iPad in the right-hand corner. If you have a new, 2018 iPad Pro, then you need to find the Volume Up button, since there is no Home button. Step 2: Press and hold the Top button when viewing the screen you want to capture, then tap the Home button and release both. 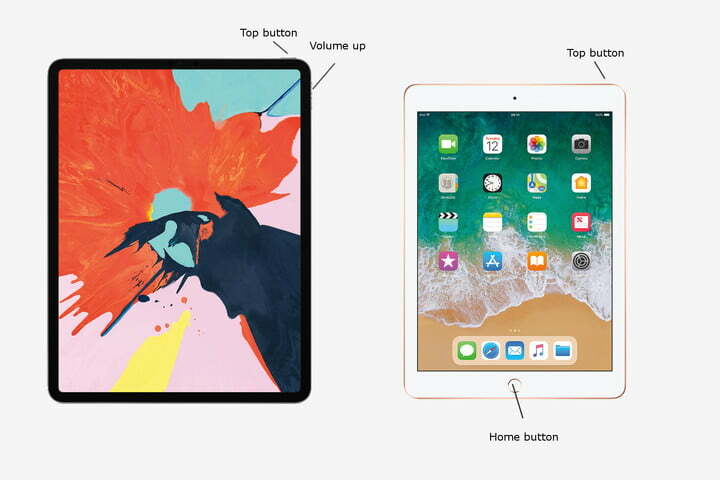 For the 2018 iPad Pro, press and hold the Top button and then tap the Volume up button and release both. Your iPad screen will then flash momentarily if done correctly, and you’ll hear a faint shutter noise, assuming your device isn’t in silent mode. 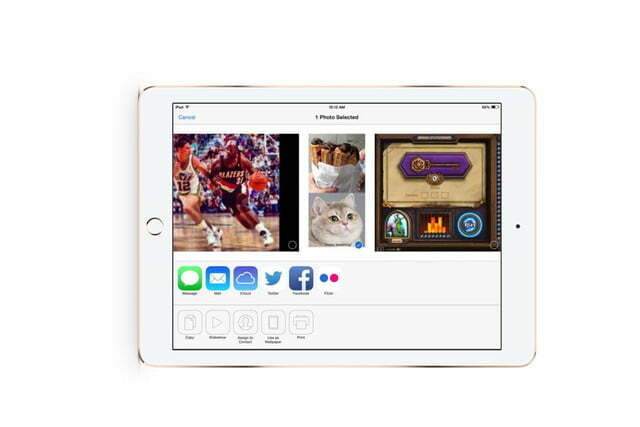 Step 3: Once captured, your iPad will automatically save the screenshot directly to your camera roll in the Photos app. 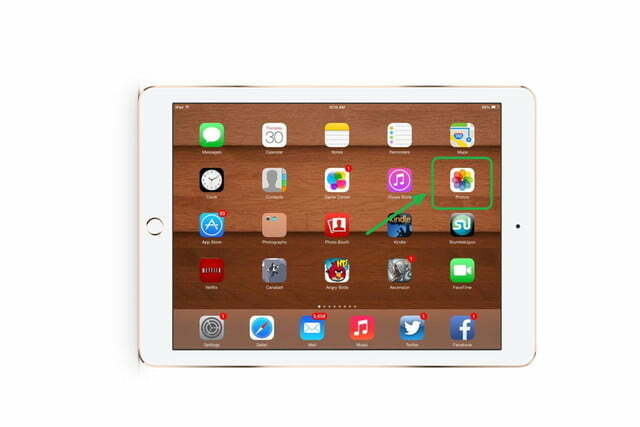 Tap the Photos app as you would normally — the app icon resembles a multi-colored flower — and swipe to the bottom of the screen to view your recently captured screenshot. 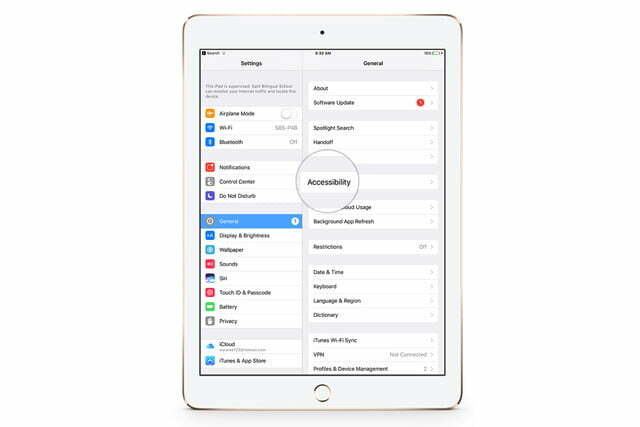 AssistiveTouch lets you perform complex tasks by selecting a few menu items. One of the things the feature allows you to do is take a screenshot without having to press a combination of buttons. If you’re reading this and you are unable to press multiple buttons at the same time for whatever reason, then taking a screenshot with AssistiveTouch is the way to go. The first thing you have to do is to turn AssistiveTouch on. To do so, follow the steps below. Step 1: Go to Settings > General > Accessibility > AssistiveTouch. Step 2: Make sure AssistiveTouch is toggled on at the top of the menu. Now that AssistiveTouch is active, we can start taking screenshots using the AssistiveTouch menu. Step 1: Tap the AssistiveTouch menu button. Step 2: Go to Device > More. Step 3: Tap Screenshot. 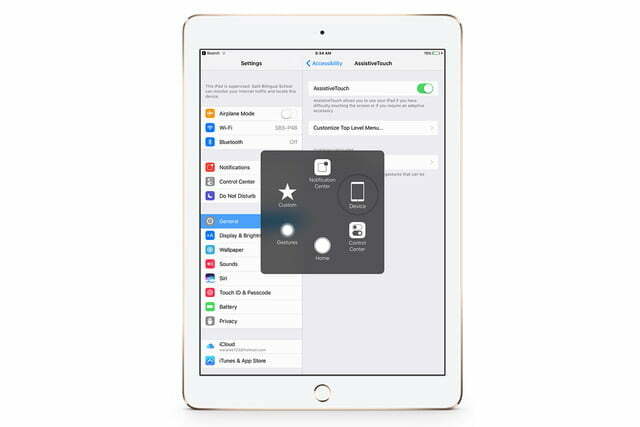 Your iPad screen will then flash for a moment, and you’ll hear a faint shutter noise, assuming your device isn’t in silent mode. Step 4: Once captured, your iPad will automatically save the screenshot directly to the Photos app. Tap the Photos app as you would normally and swipe to the bottom of the screen to view your recently captured screenshot. There are a multitude of reasons why you might want to share your recently captured screenshot. Thankfully, sharing with a friend, family member, coworker, or tech support is relatively easy to do, whether you want to do so via social media, AirDrop, or email. Read on to find out how. 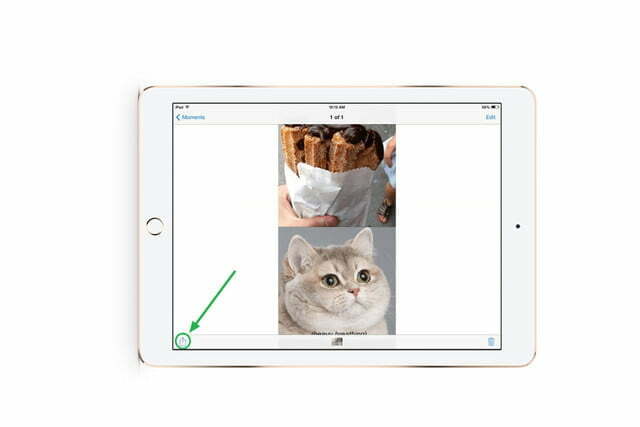 Step 1: To share a screenshot from your iPad, tap the image to enlarge it and tap the share icon in the lower-left corner. Step 2: Next, choose the social network you’d like to post to — Facebook, Twitter, Flickr, etc. — or share your screenshot via the corresponding AirDrop or email icons at the bottom. Keep in mind that AirDrop requires iOS 7 or later, and both Wi-Fi and Bluetooth need to be active.